My life often seems like fiction — something out of a comic book or superhero movie. Every day I’m surrounded by incredible people with epic missions to positively impact humanity. My company — Archangel — is quite literally a tribe of real-life superheroes — entrepreneurs and leaders who are positively changing the world, and making millions of dollars in the process by building businesses and careers around sharing their gifts and superpowers (all while serving people they love). I want to redefine the word ‘Millionaire’ to mean “impacting a million people” — and I use the word ‘Superhero’ to define an entrepreneur that has built a business sharing their gifts and superpowers with the world. One of my own superpowers is spotting patterns, and over the past 5 years I’ve noticed 8 commonalities shared among the most successful people in my network. I call them the 8 habits of Superhero Millionaires. Every Superhero Millionaire I know surrounds themselves with other Superhero Millionaires. I first heard the above John Maxwell quote while attending my good friend Jayson Gaignard’s first Mastermind Talks private curated event back in 2013. I’ve been a member of Jayson’s MMT group ever since — getting the opportunity to surround myself with fascinating entrepreneurs that have become incredible friends. And I met Jayson the year before in 2012 at Joe Polish’s Genius Network — another incredible mastermind event for the world’s top marketers and entrepreneurs. At $25,000 per year, Joe’s network is one of the biggest investments I’ve ever made…and the ROI on that investment has been exponential. The relationships and friendships made in both groups having been life-changing and transformational — and allowed me to start my own curated group of superhero millionaires back in 2014 called Archangel Masters, and build up to our 4000-person event in Toronto called Archangel Summit. Back in the early 2000’s, I had the absolute privilege of working on the marketing team for a company called Strategic Coach that offers a coaching program for highly successful entrepreneurs. The founder — Dan Sullivan — often talked about the concept of Unique Ability — the ‘hard-wired set of natural talents that you’re passionate about doing in every area of life’. Dan teaches that once you’ve discovered your Unique Ability, you should focus on staying in that space and delegating everything else. I’ve seen this pattern over and over again, and I like to think of Unique Ability as your ‘Superpowers’. Superhero Millionaires focus the majority of their energy on sharing their Superpowers, and delegating everything else to their team members (who then use THEIR superpowers). And they don’t try to ‘strengthen’ their weaknesses — they triple down on strengthening their strengths. I’ve always felt that there are 2 kinds of people we encounter — those that charge our batteries, and those that drain them. 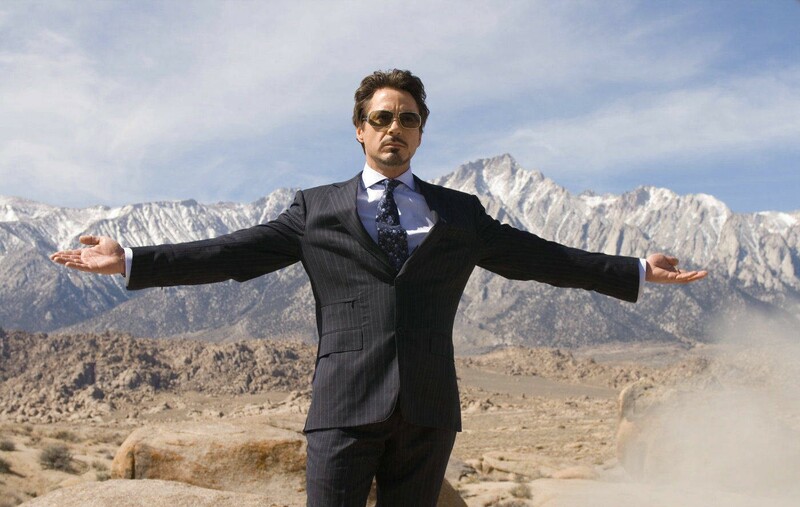 Superhero Millionaires pay careful attention to who they give their attention. They intentionally surround themselves with battery chargers, and protect their energy from the drainers. They seek relationships based on value alignment, and choose to be around those that bring out the best in them…that make them better people…that help them grow. You seldom hear a Superhero Millionaire talking about money or financial gain as their primary motivation or goal. SM’s are driven completely by vision and epic mission — the problems they want to solve, and the change they want to make in the world and in the lives of their teams and clients. It’s not that money isn’t important — SM’s believe that money is a measurement tool for mission accomplishment, and the fuel that drives the mission. Superhero Millionaires never let school get in the way of their education. They’re lifelong students and believe that learning is growing. They don’t waste their time binging on Netflix — they invest their time reading, listening to podcasts, and attending events. They have an abundant and growth mindset and understand that you can never know ‘everything’ about ‘anything’. Mastery and expertise are not a destination — they are a path and journey. They understand that they’re #1 investment is in themselves, and are constantly seeking opportunities for self-development and business-development. I was at an event last year when I heard my friend Dr. Patrick Gentempo use the phrase “your stand is your brand”. Superhero Millionaires understand that you can’t be all things to all people. You need to clearly define what you stand for, and stand against — and build a movement around taking that stand. The easiest way to become a Millionaire is to define your stand, what you believe in, what you value, what you care about, what your bigger future looks like, and invite people to join you on your journey. In my previous post — Your Gift Is Next To Your Wound — I talk about taking a stand for what made you stand out. 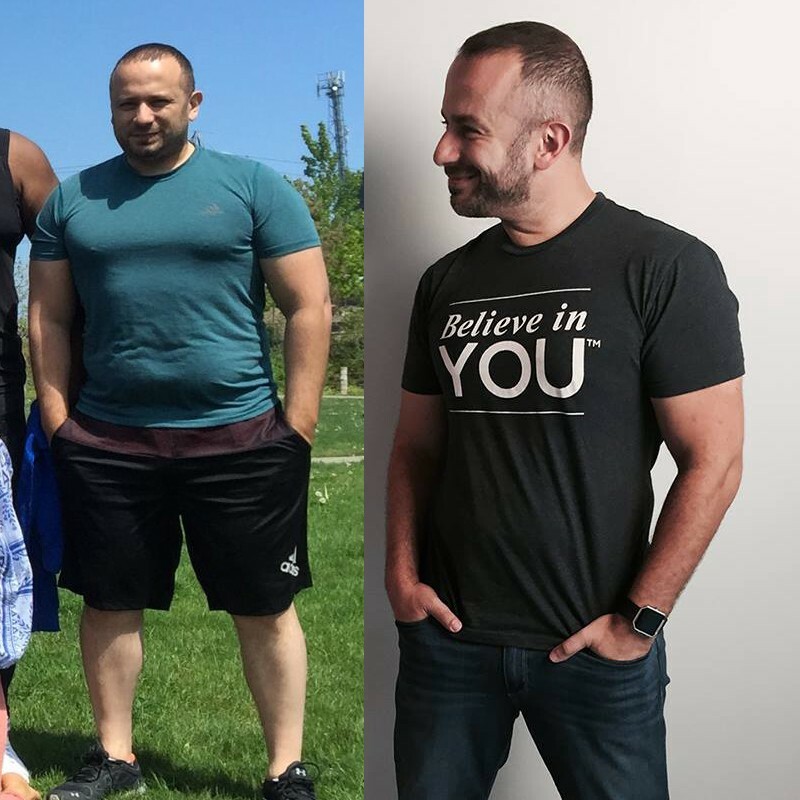 The photo on the left is me in the summer of 2015 — before I truly understood habits #2, 3 and 4. I was in the real estate space, doing super well, and completely depressed and unhappy. The photo on the right is me in the summer of 2016 — having lost 70 lbs (and I’ve kept it off since). First, I quit real estate, and put all my energy into my Archangel business which is completely aligned with who I am, and with sharing my superpowers. Second, I made health a priority. Superhero Millionaires recognize that our brains and bodies are our #1 asset, and that scaling a business means that you need to scale your health as well. Third, I surrounded myself only with people who shared the same values in making health a priority, as well as people who charged my batteries — including friends, clients, and especially my partner in shine Dr. Stephanie Estima. Superhero Millionaires are always on the lookout for successful frameworks. A framework is a step-by-step proven model that creates transformation and results. SM’s never try to reinvent the wheel — they’re looking for experts in specific areas who have what author Malcolm Gladwell would call their ‘10,000 hours’ of mastery to teach them the framework for success in that niche. What these 10,000 hour masters typically have in common is that they’ve worked with many people and are able to spot common patterns — then take these abstract patterns and turn them into concrete models that others can follow. A common framework shared by SM’s is daily practices, especially morning routines. From gratitude practices to meditation to journaling and more, SM’s make sure to have a consistent morning routine that puts them in an optimal state for the rest of the day. 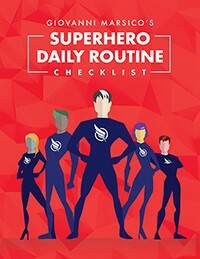 Want A Copy Of My Superhero Millionaire Daily Routine Checklist? When I started this daily routine in 2016, it helped me build a 7+ figure business, lose 70+ lbs, find the love of my life, and create my dream business. I’d love to share it with you for free.